Male Northern Cardinal Perched On Tree Branch galaxy s8 case by Laura D Young. Protect your Galaxy S8 with an impact-resistant, slim-profile, hard-shell case. The image is printed directly onto the case and wrapped around the edges for a beautiful presentation. Simply snap the case onto your Galaxy S8 for instant protection and direct access to all of the phone's features! Another excellent, beautiful bird portrait! Love the images you take! v/f! 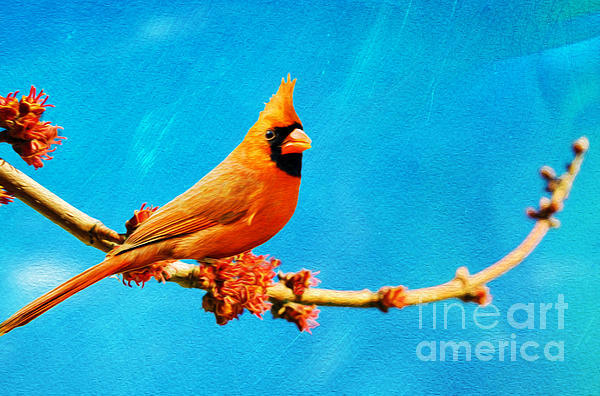 This is a bird art print featuring a popular backyard bird perched on a tree branch - a male northern cardinal, known for his vibrant red plumage and black mask and beard. 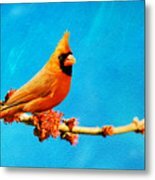 The Fine Art America Watermark will not appear on your finished art. 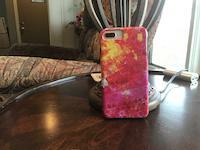 All Artwork is property of the artist (Laura D Young) and may not be reproduced, duplicated, or resold. Copyright is retained by the artist following the sale of the item.